With the decision to stop paying our mortgage, our immediate expenses dropped by nearly $3000 per month. That saved us over $32k in 2011 alone. So what did we do with all that ‘extra’ money? We also spent $1875 to take the kids to the Smithsonian in Washington DC for our first family vacation in four years. and we contributed to tax-advantaged retirement and health savings accounts. That’s it. No major new purchases. No minor new purchases. The problem with a mortgage payment that ate two-thirds of our income wasn’t the reduced lifestyle; we’d found ways to cut back on spending that actually increased our overall happiness. What was slowly destroying us was the need to gut our emergency fund and retirement savings. We were trading our house and our good credit scores to get them back. If we started spending more, it would defeat the whole purpose. Alert readers will have noticed that our budget contains a line item for ‘Rent or Mortgage’. That’s because I calculated our future rent right into our monthly expenses from the beginning, even though we aren’t actually paying it yet. As far as our spending was concerned, that money didn’t even exist. And yes, that means that for more than a year, we have been saving around 65% of our income. If you’ve been paying your mortgage but have determined that default is your best option (and it won’t be, for everyone), find out what you will need to pay in rent post-foreclosure. Craigslist is good for this. 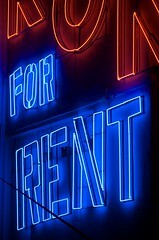 I recommend estimating a little on the high side, as rents are generally rising. Watch for a future post where I’ll discuss some ways to keep from losing your savings in the foreclosure process. Then sock that money away. Hide it from yourself if you have to. Do a little Jedi hand wave: These aren’t the dollars you are looking for. Whatever you do, do not succumb to lifestyle creep. You need a sustainable way of life that does not depend on the inherently temporary condition of free housing. 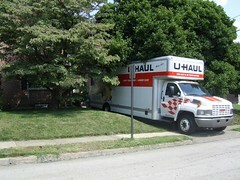 Going through a foreclosure and a move will be chaotic and difficult, no matter how thoroughly we’ve prepared. But I won’t have to worry about whether we can make ends meet — because we’ve already been doing it. In the New York Times story, you claim to want to teach your family that “experiences” not “possessions” are what matters. Yet, by intentionally defaulting on your responsibility as a howeowner, you are teaching the exact opposite. Living a home for free is surely a smart business move, but, in addition to being completely unethical, sends the exact opposite message of what you say you intend. Hi Nate. I touched on some of the reasons I don’t consider this default to be an unethical decision at the end of this post. On that matter, we’ll just have to disagree. Regardless of the intrinsic ethics of our mortgage decision, however, that decision doesn’t conflict with valuing experiences over possessions. We are, in fact, relinquishing our single biggest possession! And as I described above, not acquiring any more as a result. You’re skewering a straw man here. Karawynn, hang in there. There are alot of people who empathize and sympathize with you about having to loose your house and credit scores due to the bubble the mortgage/finance industry orchestrated. I see you getting flak from rigid non-abstract thinkers or just simply non-compassionate people but let it roll to the side, and keep on doing the work to get to your secure place with your family and prudent reserve. Thank you for being brave and sharing your story too.